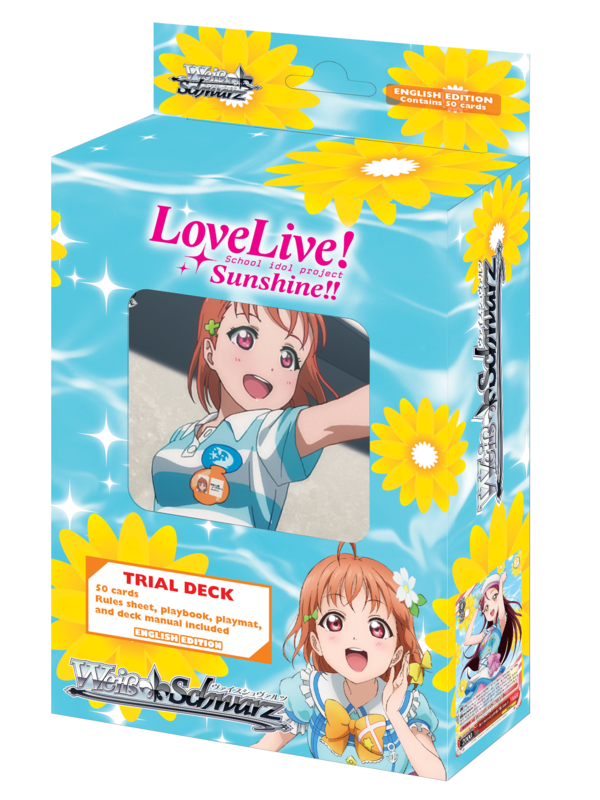 Trial Deck Love Live! Sunshine!! 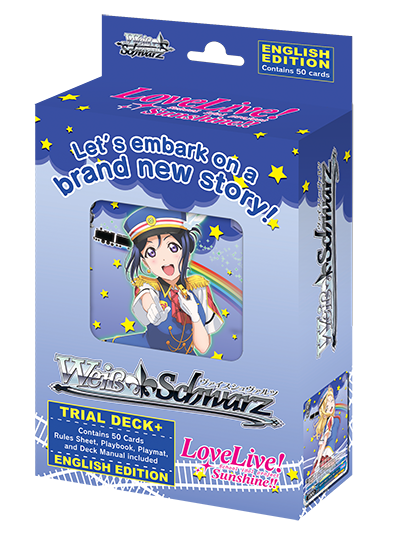 ■ Trial Deck Love Live! Sunshine!! Take the first steps to Shining like the Sun! Do you want to shine? Shine bright with everything you’ve got! Take your dreams and be radiant like the Sun! 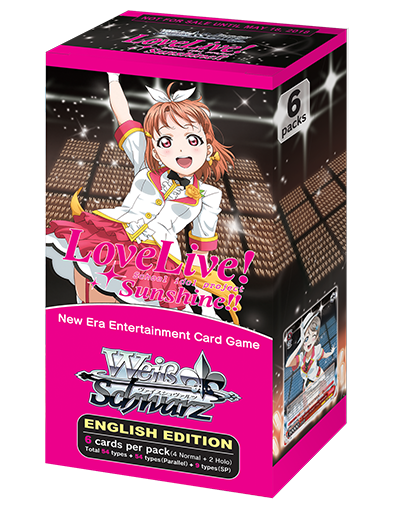 8 types of exclusive RRR Foil cards and 1 SP Gold Foil/Hot Stamp signed card from the following Aqours member is randomly inserted in decks!! ※Note: “Love Live! Sunshine! !” is regarded as a different title under the deck construction regulations. 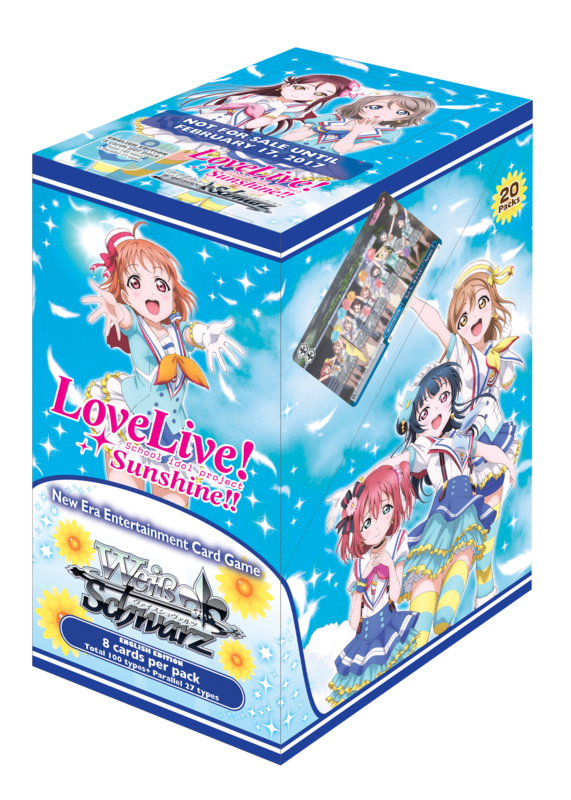 As such, they cannot be mixed with “Love Live!” cards for Neo-standard Tournaments.